Bio Juliane Berry is an international fine art wedding and portrait photographer based in Paris, France. Trained classically in the art of film photography, she began her professional career in 1995 in Los Angeles. Juliane has established clientèle throughout California and Europe. She specializes in film photography and hand painting black & white gelatin silver photographs – a dying art practiced since 1860. She has exhibited her photographs at the Seattle Design Center and various galleries in Los Angeles. 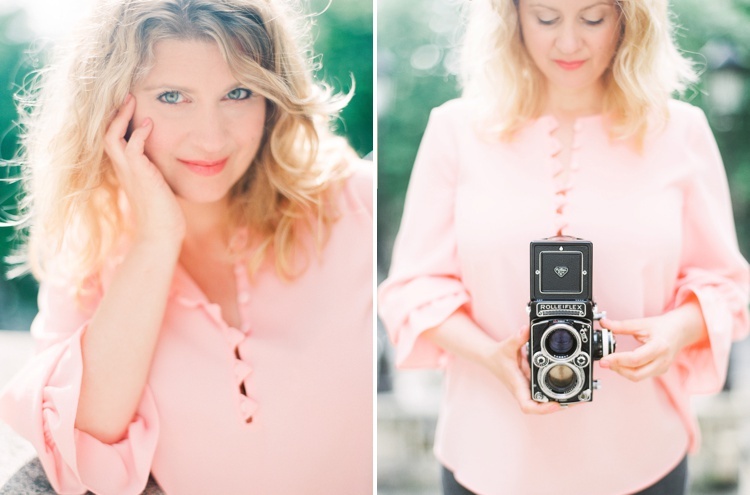 She shoots with a variety of film and digital cameras, including a vintage Rolleiflex. Artist Statement I photograph people, with their many unique expressions and beautiful emotions. 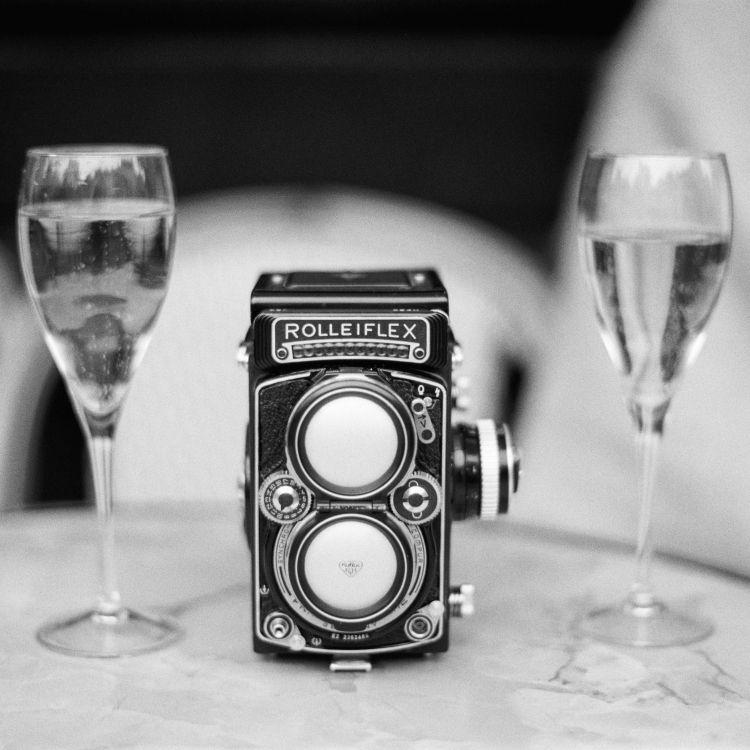 I’m drawn to the elegant and timeless feel of black & white photos and I have a strong passion for film photography. I absolutely adore the organic nature of film, as well as the beautiful colors that film delivers. I put my heart and soul into every photograph. My goal is to capture those perfect fleeting moments and make them timeless. When I feel a connection with my subject, that’s when I shoot. Those are the moments that are special, the moments that connect my viewer to my subject. Hand Painted Photographs I custom print my black & white film photographs in a darkroom on gelatin silver paper, hand painting select photos to express and evoke emotion. I enjoy working with soft, pastel oil paints to create a whimsical and romantic feel. I create this dreamy effect by applying photo oil paints directly onto a custom printed silver photograph. The paint colors and saturation depend on the subject matter and mood of each individual image. Every hand painted photograph is an original one of a kind, no two are exactly the same. The Original Red Umbrella In Paris photograph was first captured by Juliane Berry in 2012 and was featured on the cover of Le Style Magazine. Paris & Los Angeles I’m an American expat living in France. I was born & raised in sunny L.A. I lived there my entire life – until 2007, when I moved to Paris for the love of my Frenchman. Paris has a magical ambiance that constantly inspires me as an artist. Of course, j’ai deux amours – Paris & California. I visit Los Angeles and the San Francisco Bay Area as often as possible. This blog is where you can see photos from my recent shoots. I will occasionally share photos of Paris, daily life in France and the lovely French villages and countryside that charm and inspire me. I’m also mom, so I frequently post photos of my sweet boy, Henry, and my adorable little girl, Emily. “A Group Show” The Gallery @ Jacques Michael, Los Angeles, Ca. 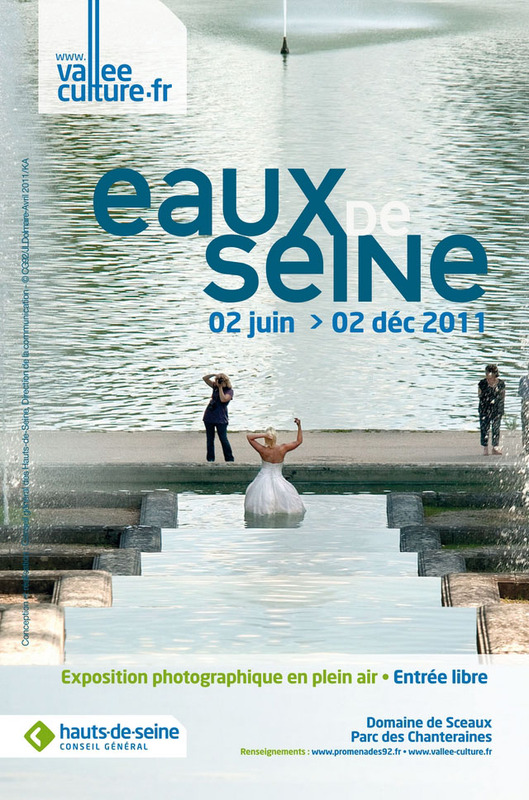 The above photo is an advertisement for a photography exhibit in France. I’m the photographer in the photo. I was shooting a trash the dress session.